If you’ve ever wanted to use an inexhaustible homeschooling resource, copywork may be your answer. The options for using it are as limitless as imagination, and the occasions to use it are almost as vast. But what is it, where did it come from, and why should you consider adding it to your child’s education? Let’s start at the beginning (but be sure to read all the way to the end for a great coupon!). Who Says Copywork Should Be Practiced? Copywork is popular today largely due to the renewed interest in the teaching methods of Charlotte Mason, a British educator who lived in the late 1800s. One of the things that made her a unique educator was that she didn’t believe education was solely a means to an end, i.e., learn the facts, pass the test, function reasonably well in society. She believed children were precious treasures entrusted to us by God who deserved our help in enjoying a life-long journey and process of learning, growing, and maturing physically, mentally, and spiritually. Copywork’s main purpose is to practice handwriting, spelling, and grammar. By copying a specific passage (often on lined paper or paper formatted with a handwriting font for the child to imitate), the child learned the shape of the letters, how to spell a variety of words, and how to put the words together into complete and proper sentences. When and Where Should Copywork Be Practiced? How much material you have your child copy in one session varies greatly from child to child. Factors including age, attention span, and physical needs will all influence your choice. Remember that in the Charlotte Mason method, the goal is not mindless repetition but quality time spent learning and perfecting a skill. There are many subjects that can be studied just as well at a desk or table as they can be on a porch swing. Subjects like history and literature come to mind. I don’t know about you, but I have found I rarely do my best handwriting while slouching on a couch or stretched out on the floor. Perfecting handwriting skills is one of those things that often requires us to discipline both mind and body, sit up straight at a table or desk, and simply practice the task until we have learned to master it. 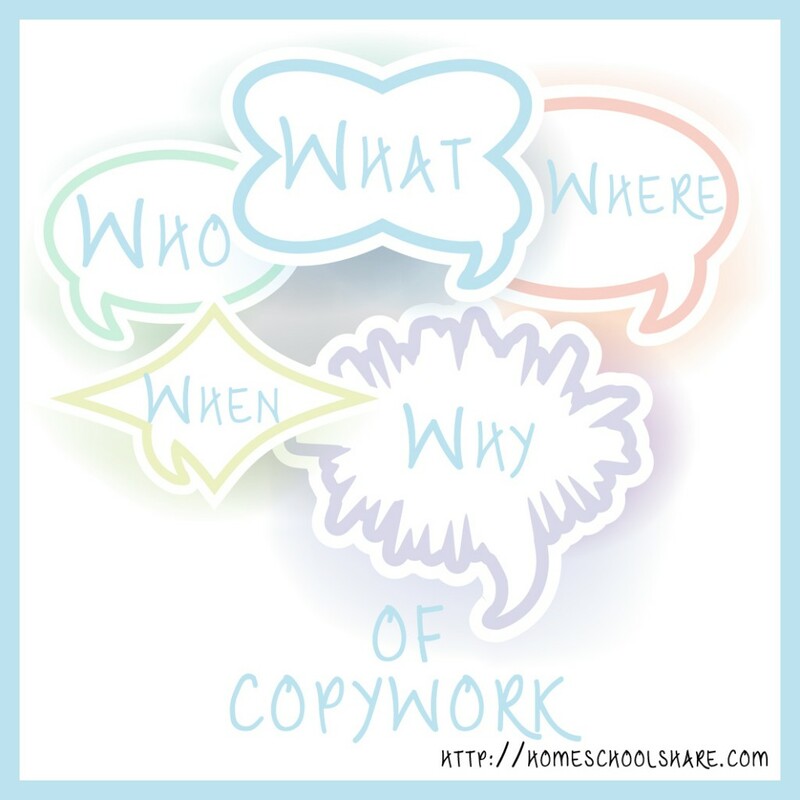 Why Should I Add Copywork to My Day? The philosophy behind teaching handwriting through copywork is that when a child spends time copying Scripture or great literature, they are learning far more than how to form letters and build sentences. They are learning the truth behind the words, the ideals behind the concepts, and the mastery of language exemplified in classic literature. But are there other subjects that can be taught through copywork? I think you can teach or reinforce almost every subject through copywork. Some may require a little more creativity and energy on the part of the parent, but consider the possibility to engage a child who hates practicing handwriting through a subject or topic he or she loves. Do you have a child who loves horses? How about a copywork excerpt from a classic horse tale? Does your child love trolls and elves and mythical creatures? What about a copywork excerpt from Tolkien or C.S. Lewis? Since it’s not always possible to find premade copywork that fits your student’s needs and personality, there are a number of font programs available that will enable you to make your own at home. My favorite is Fonts 4 Teachers. If time doesn’t permit creating your own from scratch, never fear! There are lots of free options all over the Internet. There are scores of great copywork printables available that focus on literature and Scriptures. Here is a free collection of four poetry-focused copywork selections created for National Poetry Month. You can also enjoy a copywork excerpt from John 14-15. History is a subject that is easy to bring alive through copywork. You can learn about the ideas of America’s Founding Fathers while practicing handwriting and spelling with Patriotic Copywork. How about geography and encouraging a heart for the lost people of the world? Yes, you can do that, too! 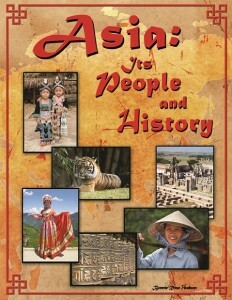 Little ones can enjoy My Book About China and My Book About India. Elementary-age kids can use copywork to explore six of the nations of Asia and learn about the nation’s capitals, borders, majority religions, people groups and more. What about math? Can you even teach math with copywork? Yes, you can! Here’s a math copywork printable with basic number facts and a copywork printable with word problems. If you’d like to explore copywork resources for purchase, I highly recommend a yearly or lifetime membership to Homeschool Copywork, home to hundreds of copywork pages, artist studies, and more. I also love the Everyday Copywork section (almost 200 copywork selections and growing!) 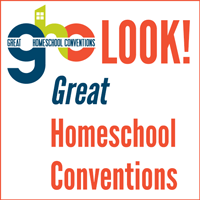 of SchoolhouseTeachers.com, the curriculum arm of The Old Schoolhouse® Magazine. Bonnie Rose Hudson works with both SchoolhouseTeachers.com and The Old Schoolhouse Magazine® as a curriculum creator and editorial assistant. Her heart’s desire is for every child to feel the love of God and know how special they are to Him. She would love for you to stop by and meet the star of her children’s series at Exploring with Jake, look through the 10/40 window of the world and join others in prayer at Looking Out the 10/40 Window, or stop by her author’s blog WriteBonnieRose.com for resources to help teach your children about missions and the persecuted Church, free history and writing printables, and to discover how you can write for the homeschool market.